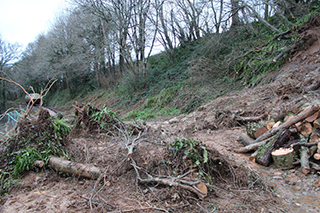 Two storm–ravaged private railways in Devon are helping one another to recover after suffering major flooding, landslip and washout damage right at the start of the main tourist season which closed both of their running lines. 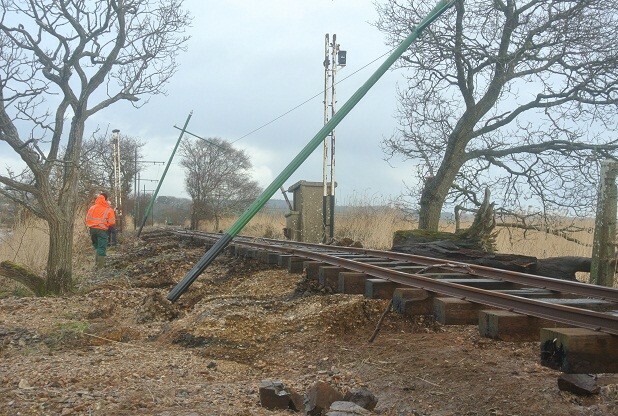 The Seaton Tramway was forced to curtail its planned operations for February half-term week after a serious washout of the track overnight on Valentine’s Day (14 February). And the South Devon Railway has only just repaired a major landslip that occurred over Christmas which saw it finally reopen on Saturday 15 February for a nine–day branch line gala event. In an enterprising move, the Seaton Tramway will be moving trams Nos. 6 and 8 by road to Colyton on Friday 21st February in order that they can circumvent the damaged track area and then start to operate a mini service from Colyton to Colyford from 22nd February. The Tramway will also have a display stand at Buckfastleigh at the SDR over the gala where people can find out more about their recovery programme. And an elderly, 109-year-old steam loco of the LSWR’s M7 Class, a type which last ran on the branch line to Seaton in the 1960s and is normally based at the Swanage Railway, is also symbolically ‘flying the flag’ for both Devon lines and is running on the South Devon Railway (SDR) as a special guest visiting engine this week. Visitors coming to see the M7 in action on Friday 21st, Saturday 22nd and Sunday 23rd February at the SDR’s Winter branch line gala will be made aware of the strong link the loco has with Seaton, and can also find out more about the Seaton Tramway and the significant track and power cable repairs now needed to reopen the line. The SDR has also volunteered manpower and equipment to help with the work at Seaton, in addition to the contractors already brought in by the Tramway Company to restore the running lines and reinstate damaged overhead power lines. With the West Country’s rail links already badly hit by the destruction of the seawall at Dawlish, plus flooding and other landslips elsewhere in the region, both the Seaton Tramway and South Devon Railway – which together carry over 200,000 people every year — are determined that the weather will not beat them and are standing together in support of one another through the difficulties caused by the recent floods. In another link with Seaton and the former railway lines in East Devon, four former British Railways Southern Region loco crew once based at Exmouth Junction shed (72A) in Exeter, where the last M7 in Devon was based in 1963, are visiting the SDR on the afternoon of Friday 21 February to renew their friendship with Loco No. 30053. They will arrive around lunchtime and travel on the 14.45 departure hopefully hauled by the M7, No. 30053. 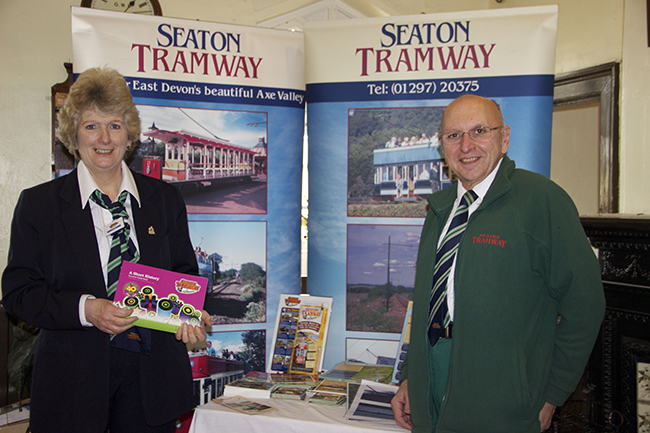 News updates and pictures of the Seaton Tramway and for the South Devon Railway’s Winter ‘Devon Branch Lines’ gala can be seen on their websites: www.tram.co.uk and www.southdevonrailway.co.uk and on their Facebook and Twitter pages. BBC News article on the completion of the repairs – opens in a new window/tab.